Paws-A-While offers an ideal home from home experience for your beloved canine friend who will be welcomed into our family by myself and my 19 year old son. If you are looking for someone to take care of your dog while you go to work, have a day out or a holiday, then we are the ideal choice - providing peace of mind that your friend will be well cared for and have an enjoyable time while you are away. 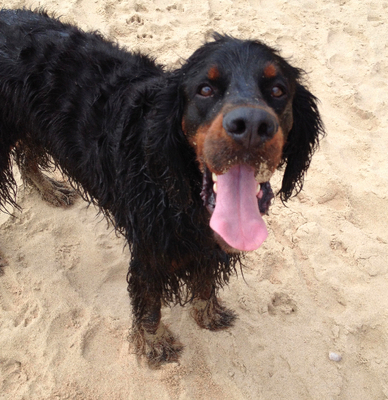 Paws-A-While is situated a short walk from the golden dog friendly beaches at Branksome Dene, an ideal playground for dogs. 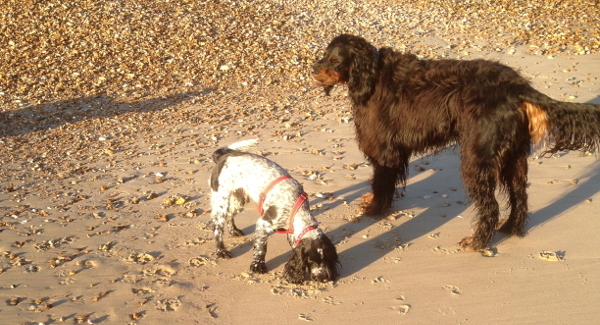 Your dog will enjoy 2 walks (minimum of 1 hour) per day on the beach and chines, whatever the weather. 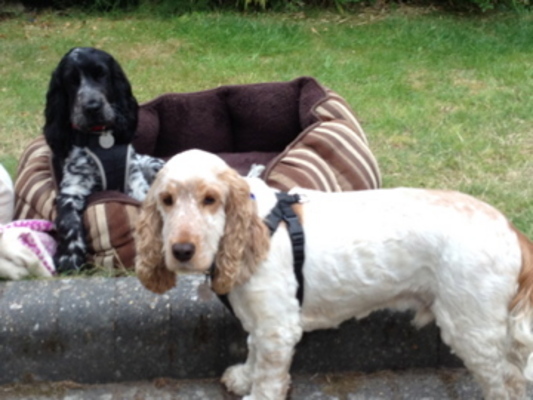 We also offer pet visits while you are away, pet transport and dog walking. Paws-A-While offers full day care for your dog if you're at work or simply want time for yourself. You can be assured that your four legged friend will be treated as a family member and will receive lots of love and attention, just like home. There is plenty of space to run and play, or simply to sleep. All dogs have full use of our secure garden, outside studio and downstairs of our large house. In addition, they will receive two walks a day so they will certainly not be bored. All dogs have their own unique personalities and needs and we will cater for all demands, within reason. As a passionate animal lover, I understand how hard it can be to leave your dog for long periods and my aim is to provide peace of mind when you can't be with your dog through first class care and attention. Paws-A-While offers a flexible and caring alternative to kennels that gives your pet their own holiday while you go away. You can rest assured that your beloved friend will be well cared for with plenty of attention and activity, including two walks per day. We aim to keep to the same routines that you have set so that your dog feels more comfortable and relaxed. You can be sure that they will have lots of fun and games, as well as lots of cuddles and fuss. 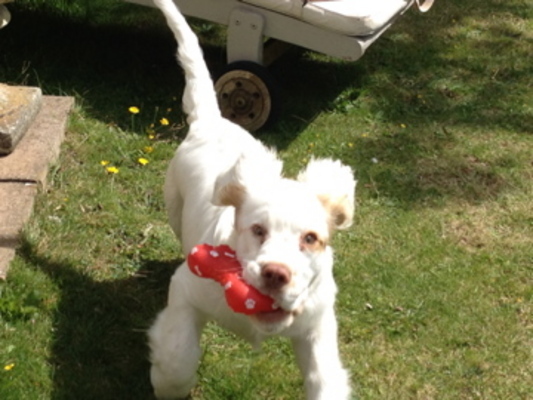 Before a booking can be confirmed you will need to bring your dog to our home to see the home environment we provide. First time boarders need to spend a minimum of one day with us before a booking can be made. This ensures your dog will be happy with my "pack" in my home.